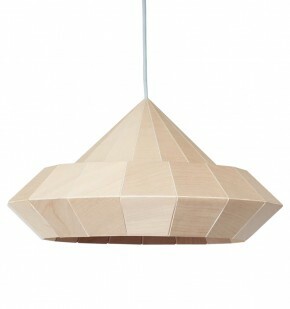 This lampshade is made from 1 piece of birch wood veneer, that is glued to a large sheet of paper. The wood veneer is milled away to create a folding line. After the milling, all the folding lines are sanded by hand. 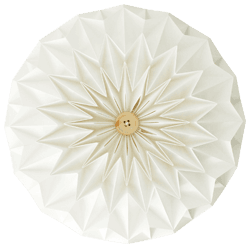 Finally, the lampshade is folded. 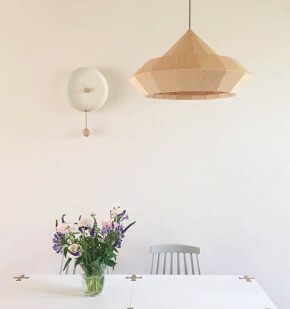 The light is shining through the veneer, which makes the structure of the veneer visible. At the folds, more light is shining through, which gives a very special effect. -54 cm / 21 inch diameter.